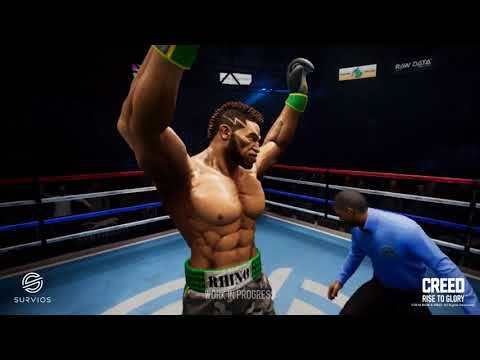 A premier VR boxing experience that puts you in the gloves of Adonis Creed on his journey from an underground amateur to a spotlight champion, Creed: Rise to Glory features revolutionary Phantom Melee Technology for impactful melee combat VR. Whether you choose to live out Creed’s story or set up your own Exhibition battles against a variety of skilled opponents, this makes you feel every punch, uppercut, and flurry through situational desynchronization, including fatigue, staggering, and knockouts. Ready to touch gloves as the Pride of Philadelphia? Creed: Rise to Glory was released on PC and PS4 205d ago in the US and the UK. Notify me when Creed: Rise to Glory is available.